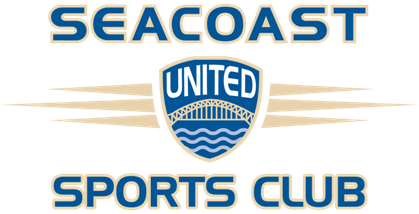 Entering its 27th year in 2019, Seacoast United Sports Club is one of the largest youth sports organizations in the New England region. SUSC began with the simple objective of providing equal opportunities for players of all ages and abilities. From fielding its first soccer teams in 1992, the Club has grown to include Field Hockey (1999), Baseball (2011), Softball (2013), and Lacrosse (2018). Over the years, the Club has adopted a unique philosophy with an emphasis on providing an environment where players could learn the game and develop over time. In addition to teaching players the fundamentals of the game, Seacoast United has always made it a point to prepare players off the field just as much as on it. This model of practice has played an integral role with all of the Club's sports, and helped in growing the Club's footprint significantly through numerous programs in New Hampshire, Maine, and Massachusetts. Seacoast United now operates two outdoor facilities, and eight indoor facilities covering the region of Bangor, ME to South Shore, MA. Learn more about the programs offered by each of our clubs by following the related links section.